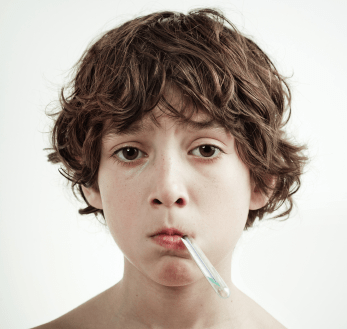 Tell Your Tonsillectomy Story – I’ll Publish It! Tonsillectomy and adenoidectomy surgery often evokes fear in many people, sometimes removing tonsils and adenoids is inevitable. Frequent tonsillitis, tonsil stones, snoring, or enlarged tonsils causing respiratory problems are common reasons to get them removed. It’s quite common to also remove the adenoids at the same time. Here are the four most common tonsillectomy and adenoidectomy methods used today. An advanced piece of equipment that uses ultrasonic energy at a high rate, the tonsils are cut and the tissues tied at the same time. This laser tonsillectomy instrument allows for more precision. One advantage is that the damage to surrounding tissue is minimal with laser tonsillectomy surgery. The first of these tonsillectomy and adenoidectomy methods involves removing the tonsils with a scalpel. Although it is the most common among them and most preferred by ear, nose, and throat specialists, more bleeding during the procedure occurs with this than other tonsillectomy and adenoidectoy methods. However, there is minimal post-operative bleeding and less patient discomfort after the surgery. The second of the tonsillectomy and adenoidectomy methods uses electrical energy to burn the tonsil tissue. While the reduction of bleeding is advantageous, the high heat temperatures can damage surrounding tissue, and may cause more discomfort after the surgery. During this tonsillectomy and adenoidectomy procedure, probes inserted in the tonsil transfer radio frequency energy to the tonsil tissue. Because this is a treatment and not a full removal, the patient does not undergo full anesthesia; instead, local anesthesia or light sedation is performed. The treatment causes deliberate tonsil scarring, which causes the tonsil to decrease in size. Advantages include a quick recovery and immediate return to activities. Tonsillectomy methods vary greatly in tools and post-operative recovery. The decision on which method to use is based on what kind of surgery is being done–partial or whole tonsillectomy, as well as how much pain can be tolerated and the risk of post-operative bleeding. Recovery often lasts between one-and-a-half to three weeks in length. Your throat will be sore for about two weeks, and you will not want to swallow anything for a few days. It it is imperative that you drink plenty of fluids to keep hydrated. Cold foods and liquids can help reduce throat inflammation. With advisement from your doctor, you both can problem-solve which of these tonsillectomy methods will work for you. Did you have laser tonsillectomy? What are your thoughts on it? I’m a 60 year who has suffered from sore throats, tonsil stones, sleep disturbance and trouble swallowing for most of my life. I plucked up the courage and had laser surgery on my tonsils yesterday. I was extremely nervous, not knowing what to expect, but I can honestly say my fears were unfounded. I had mild pain last night, which has subsided to pain upon swallowing only today. As my tonsils were so large I might have to return for another session. My surgeon is highly respected within this field (I live in the UK) so I will take his advise as to whether I proceed with a follow up. Judging by the reduction in my tonsils already, I think it will be pretty straightforward. This simple yet effective procedure has the added bonus of being done under a local anesthetic. Hi, I am scheduled in with Mr Dilkes for January for the laser tonsillectomy. Can you let me know how painful the surgery was and what the recovery time was please? (I am 29 years old) – thanks! I’m 50 and had my tonsils out 3 weeks ago. What worked for me was mango fruit bars. I went through several boxes. The Whole Foods store brand. Baked potatoes, mac and cheese (made my recipe and froze small squares), butternut squash soup (again, made and froze in advance). Lots of ice water all the time. I can’t tell you how worth it it was to have them out. Keep on top of the pain meds and hydrate. You’ll recover before you know it. Also, smoothies with milk, ice cream and bananas. I opened capsules of multi-vitamins into the smoothies to get more nutrients. I’m making an appt next week w/a new doctor and their office uses thermal fusion (ENTceps) for tonsil removal. I’m wondering if anyone on this site has had their tonsils removed using this method and what their experience was was with it. I’m 50 and have a long history with strep and sinus infections. Have had both over the last several months and am currently on my seventh course of antibiotics in as many months. I’m so ready to get rid of my tonsils. And thank you to the creator of this site. I am very appreciative of this resource you’ve created. Having knowledge lessens my stress. I am a 22 year old female that had reoccuring strep throat and tonsilitis ever since I was little. Yesterday 10/21 I had my tonsils removed and that same evening I was in sever pain and felt like my tonsils were so swollen that it hurts so very bad to even swallow. Its now 1 in the morning and i took my 12:45 dose of oxycodone and hour early and increased the dose from 5mg to 7.5mg hoping ut would help and I have had little relief. What does anyone who had this procedure done think I should do? It scares me because everything I am readig says day 1 and 2 were a breeze and im not even 24 hrs post op and im in some SERIOUS pain.